On August 10th , Studio Drift will present FRANCHISE FREEDOM for the first time in Europe, following a successful premiere at Art Basel in Miami Beach in 2017. The performative artwork will be on view for three days during sunset (weather permitting), from 10 till 12 August above the river IJ in Amsterdam. A representation of FRANCHISE FREEDOM is on display now at the Stedelijk Museum as part of Studio Drift’s retrospective. This large performance, now accessible for everyone, is the perfect example of how pure nature, the most innovative technology and society can blend. After the unprecedented number of visitors to the Stedelijk Museum for the Studio Drift’s retrospective, the City of Amsterdam in collaboration with Intel, BMW, Rabobank, RAI, Stichting NDSM-Werf and Studio Drift will offer the public the unique opportunity to view this performative artwork, consisting of 300 choreographed flying drones on the Intel® Shooting Star™ platform. 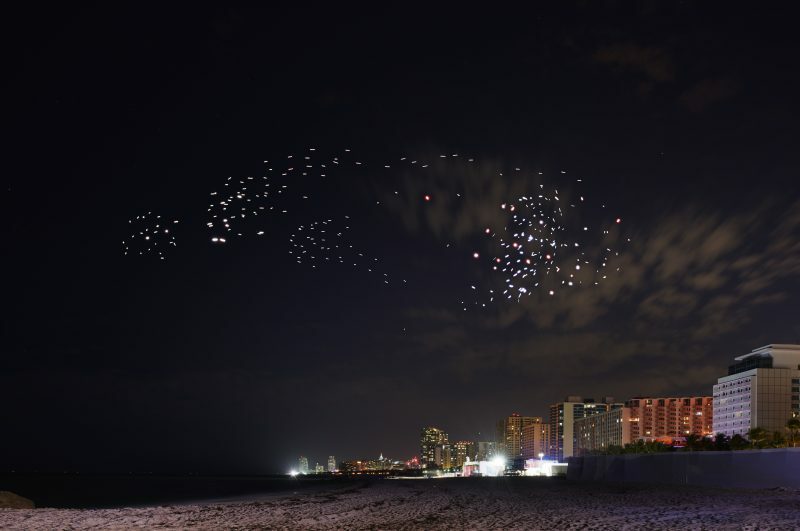 It is the first time that such a large number of drones have been allowed to fly for an art display in the Netherlands. For 10 years Lonneke Gordijn and Ralph Nauta from Studio Drift have been studying the flight patterns of starlings moving in a swarm. Fascinated by the movements whereby freedom and at the same time limitations of the individual birds within the swarm alternate, the artists developed an algorithm that can make autonomous choices. 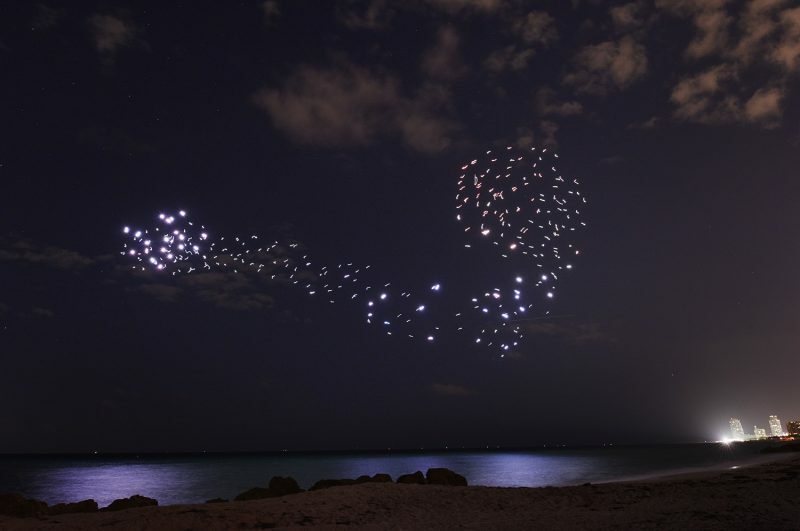 In this way they could eventually imitate these movements by translating them into software that was specially developed by Intel and embedded in the luminous drones. FRANCHISE FREEDOM was developed in collaboration with BMW and is made possible with Intel® Shooting Star™ technology. Visitors will have an extraordinary immersive experience incorporating light and movement in the airspace over the river with the skyline of Amsterdam as a backdrop. Location: The installation is free to visit and can be seen from locations around the river IJ. Best location to view would be near Pllek, Amsterdam Noord or the Haparandadam in the Houthavens.